Our favorite all-around test kits are the red sea kits. 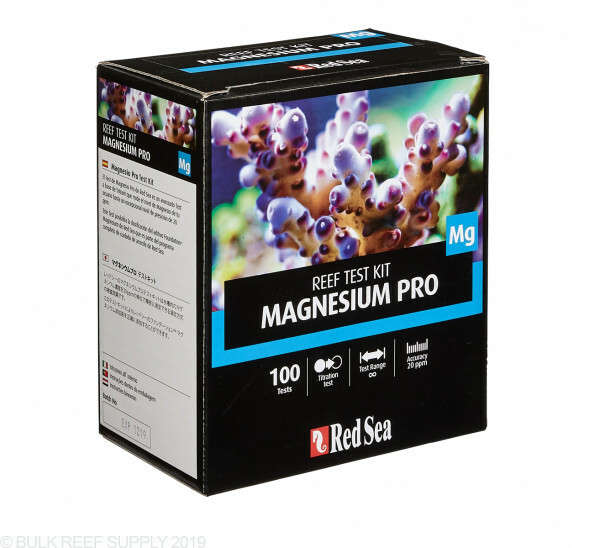 With easy to follow directions, and consistent results, the Red Sea Magnesium test kit can always be found in our testing closet. The titration is made even easier with the included syringe holder that makes it much easier than almost all other test kits available. 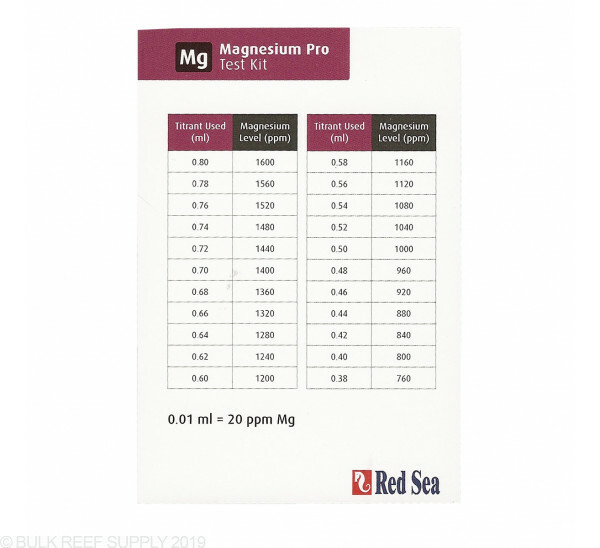 Healthy coral growth depends on providing a proper balance of Calcium, Alkalinity, and Magnesium. 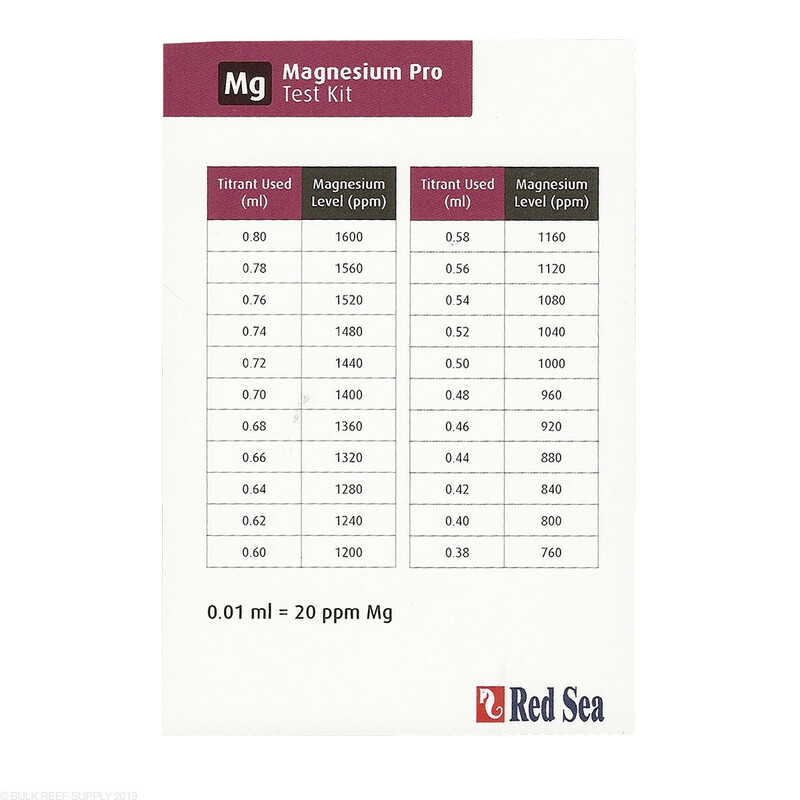 Red Sea Magnesium Pro Test Kit accurately measures magnesium levels. I am using this kit to double check my Hanna checkers. Results are very close to each other. It does exactly what it is supposed to do. My only problem is the same with all test kits, I want a number instead of guessing between the shades of color. This test kit is consistently giving me readings that are off the chart. I thought my test procedure might be at fault, but I consulted the reef forums and watched a number of different YouTube videos including the one put out by Red Sea. I have repeated the test numerous times now, and I am confident that my procedure is correct. My next thought was that my Mg levels really happened to be this high, so I decided to test a batch of fresh SW I mixed up the previous day. It gave me almost identical readings. This was with Fritz RPM salt mix, but I also saw the same results with Aqua Forrest Reef Salt. I took a sample from my DT to a well-known reef store in my area, and they measured 1500 ppm using Salifert. Still somewhat surprisingly high considering I have never dosed magnesium in this tank, but at least it was not off the chart high. Many others in the forums reported similar experiences with this test kit. Given the loads of positive reviews, I have to assume that not every kit has this problem. Beware though that some of them either have an issue with the titrants, or perhaps the test simply is not accurate at the far end of the range. Love the Red Sea case and syringe holder. Easy to use once you get the hang of it. This is a quality test kit. I reallly like the storage box for the kit. Glass bottle is hard to clean after the test. Most annoying part of test kit is having to subtract titration solution used against startinng volume to figure test results. 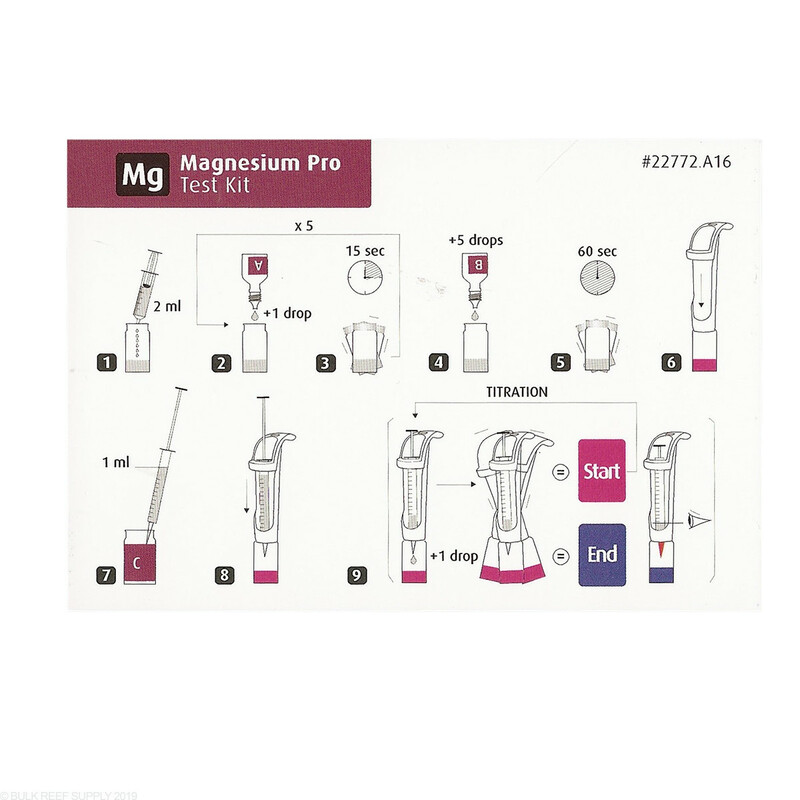 Salifert titration tests are much easier to use. I thought i would like the one handed tritation handle but, in reality while I can do that part of the test single handed. Its much harder to add only one drop at a time. 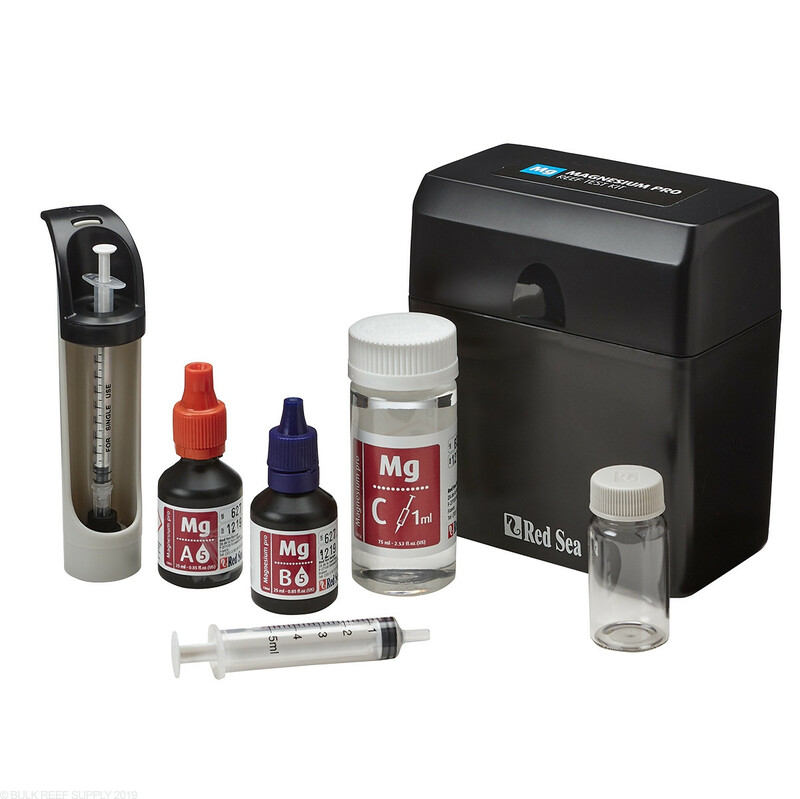 I think I'm going to stick with Salifert for my next Mg test kit and use this ones box to store it in. 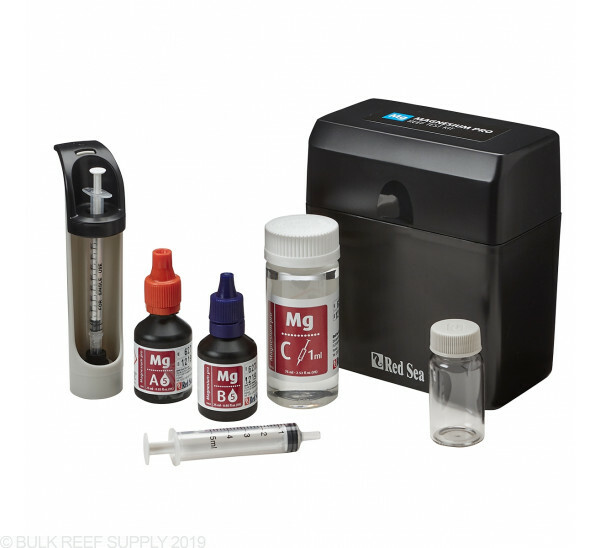 Best Mg kit on the market! I have had good luck with this mag test kit. Multiple readings are consistant and its all high quality gear inside a nice box. Great test kit. Easy to get the result. The color change is rapid and obvious, so there is no guessing. It comes in a sturdy case too, not a cardboard box. I'm assuming that it is accurate because I get consistent results. The first time I used this test I had to watch a video on Youtube to make sure I understood the directions. It's not simple. But, once you learn how to use it, it's very precise. I really love the set up of this kit. The syringe holder really lets you drop the solution with just one hand. I really like the initial 0.4ml of solution addition so the overall test takes less time. The only downside is that the blue color on the instruction sheet does not match at all with the blue color of my solution. I've done the test multiple times and I never get that blue color. However, a great kit! 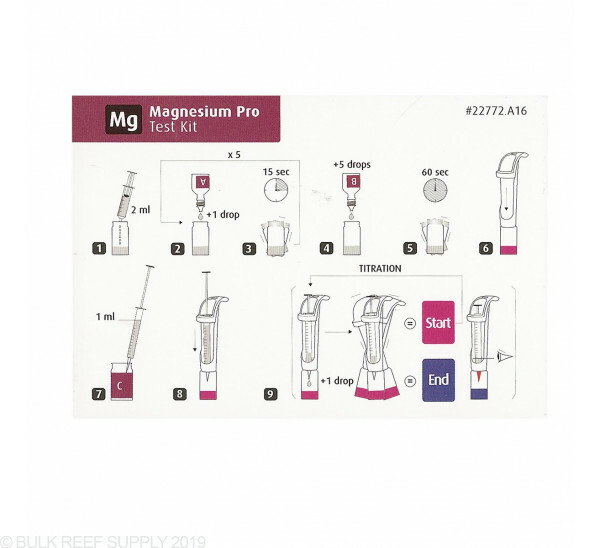 I am needing a Red Sea Foundation Magnesium Reagent (Liquid) refill kit but do not see anything listed anywhere. If you sell them, why are they not listed? I need to know before I place my order. 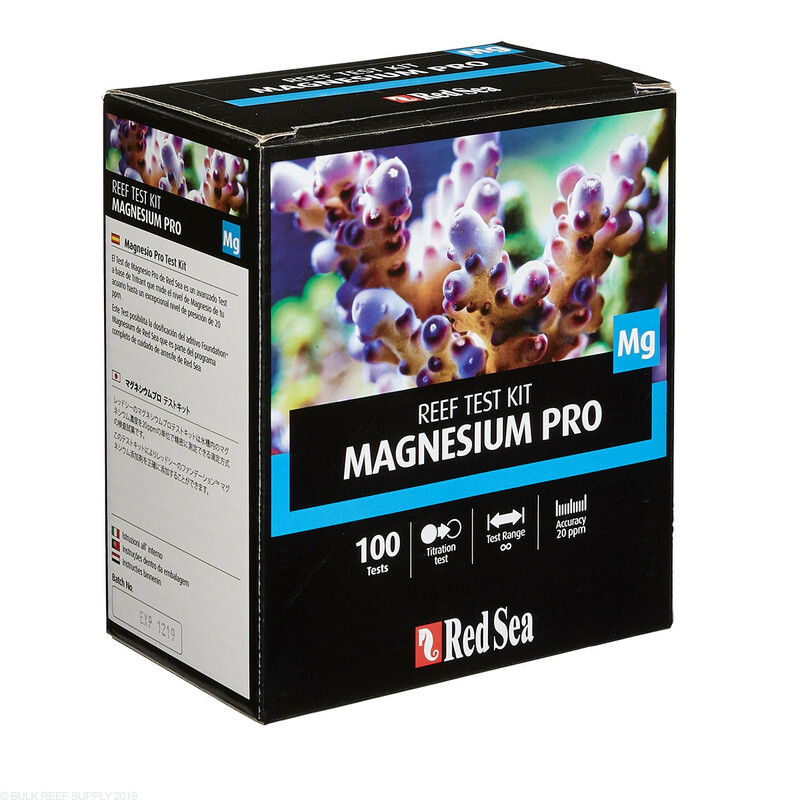 I have included a link to the refill kit for Red Sea Magnesium. Feel free to let us know if you have any further questions!